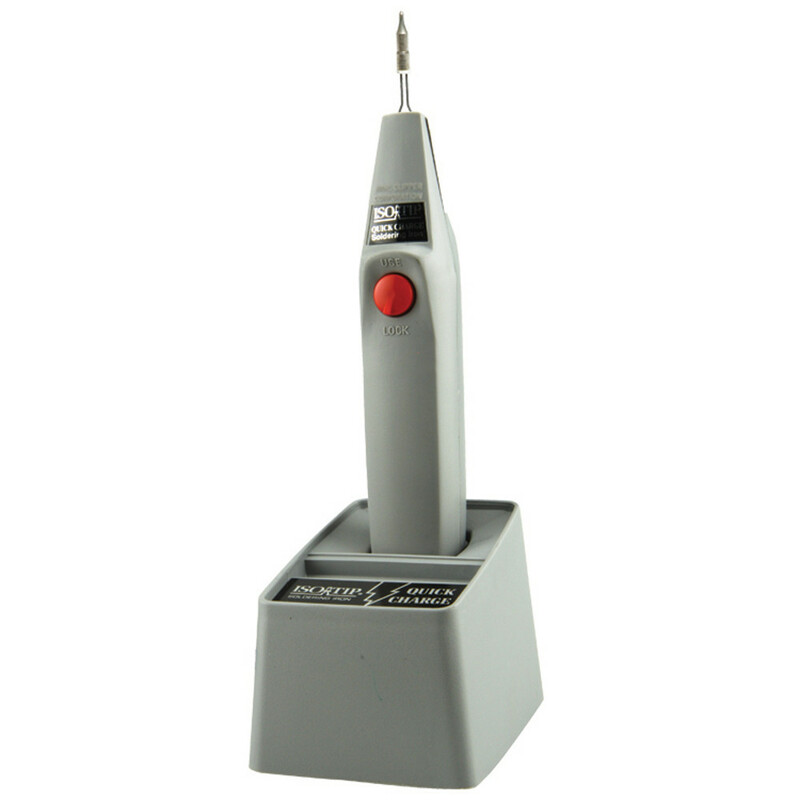 Soldering irons are hand tools similar to soldering stations but more compact and light-weight. 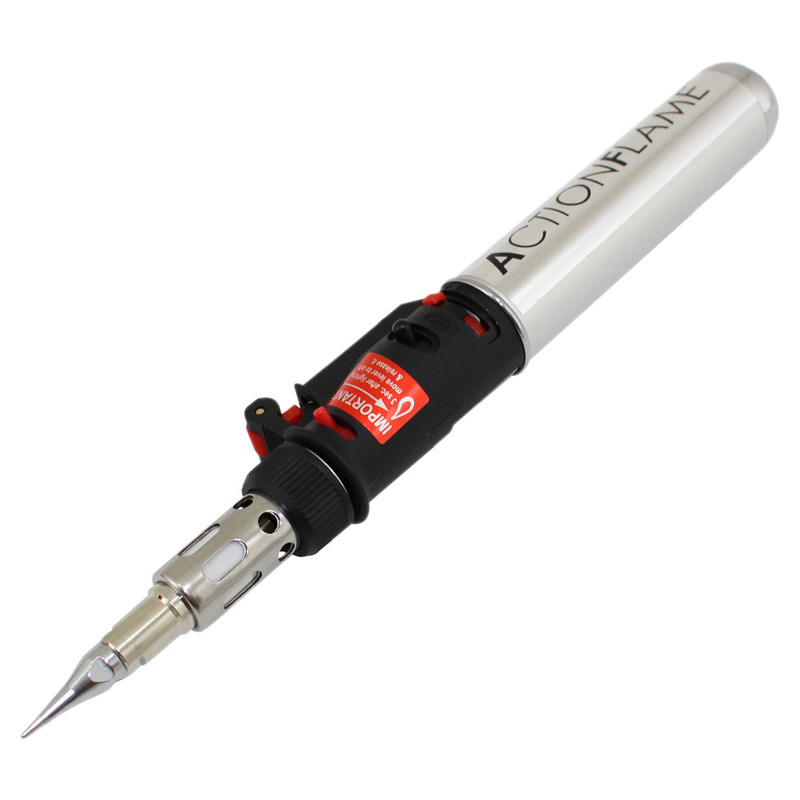 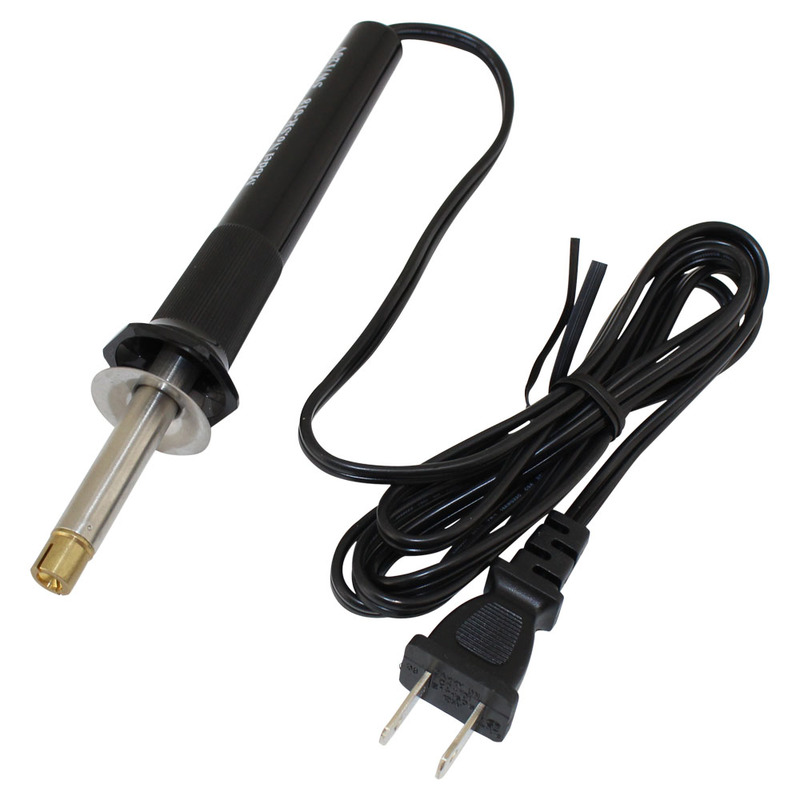 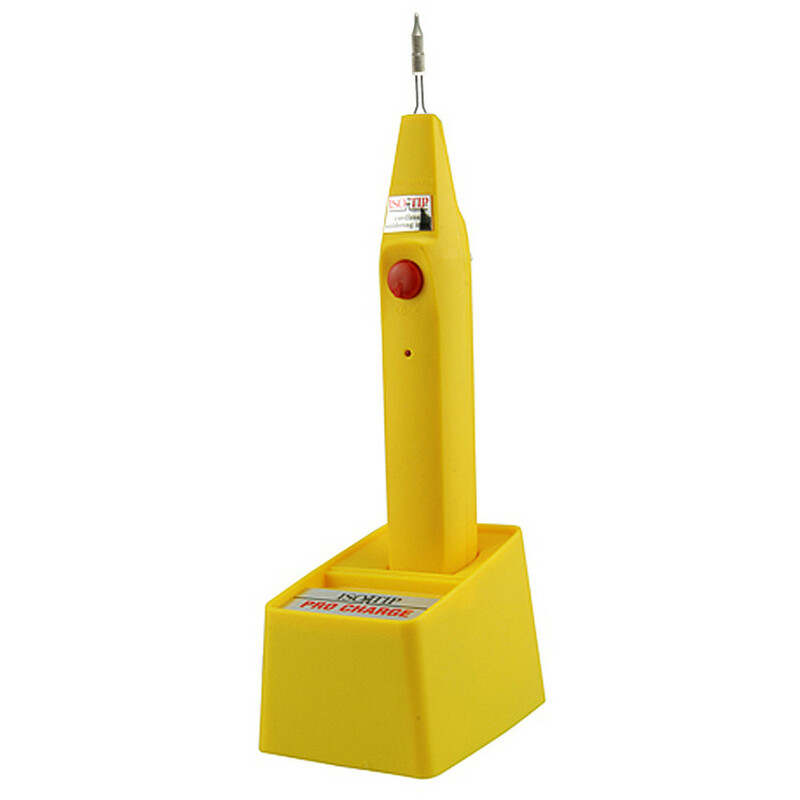 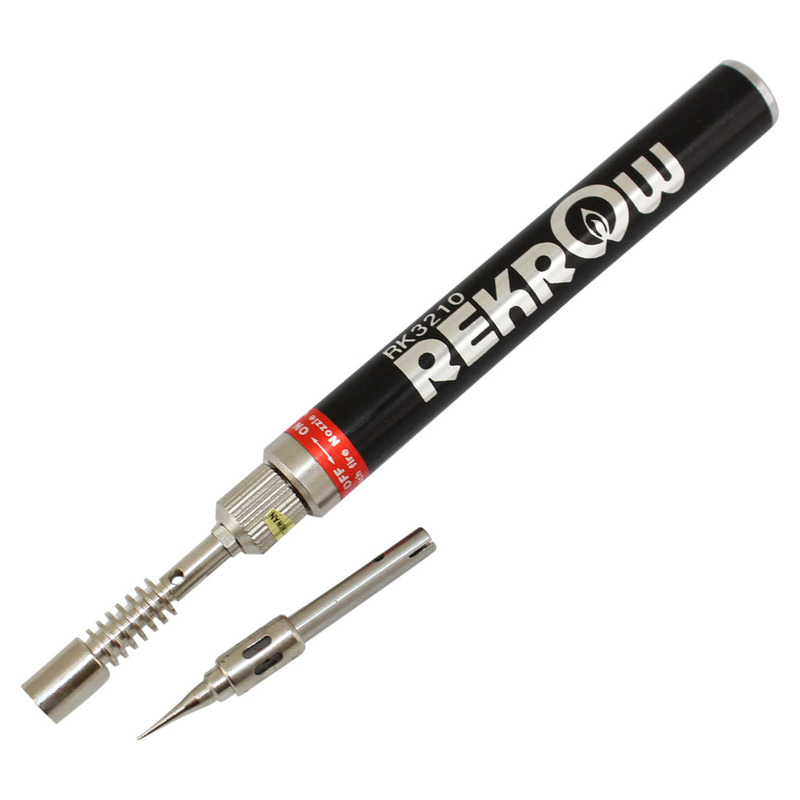 Shop here for an electric soldering iron or a gas soldering iron. 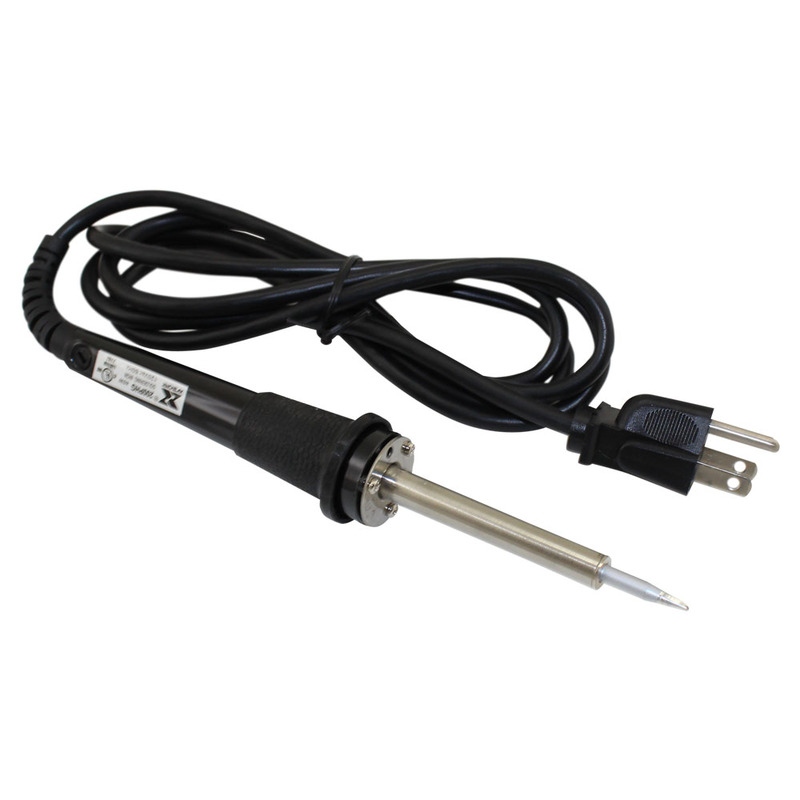 These are available with variable temperature control and thermal balancing. 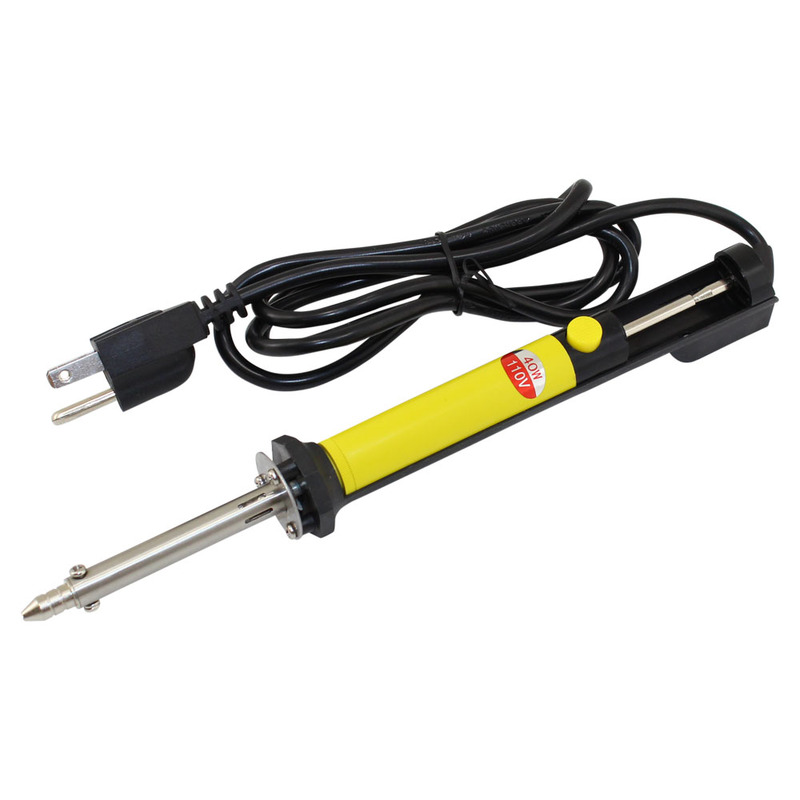 Unlike a soldering station, a soldering iron is lightweight, compact, and portable. 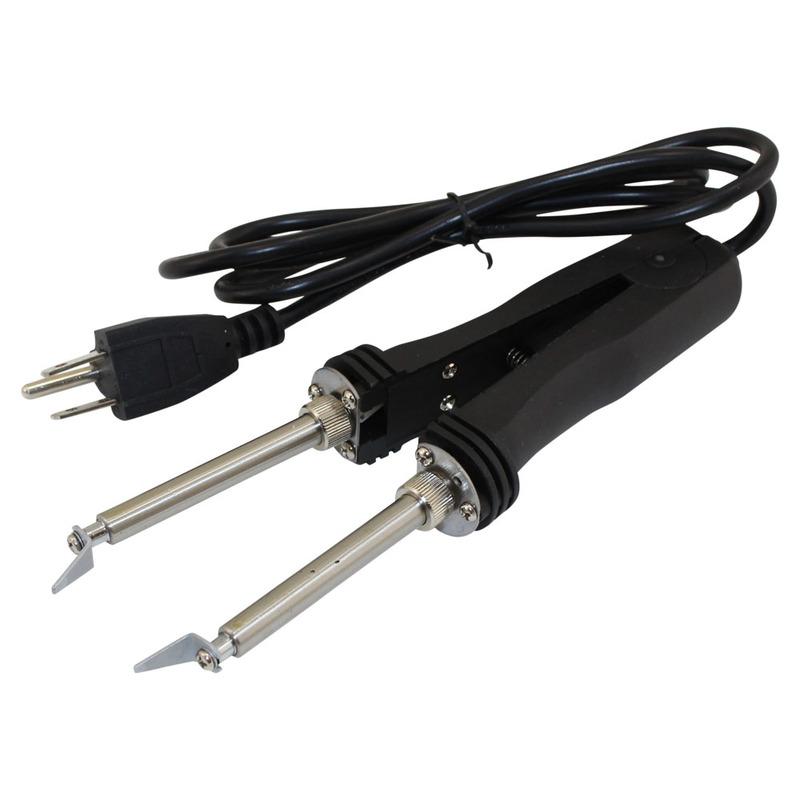 Soldering irons supply heat to melt solder. 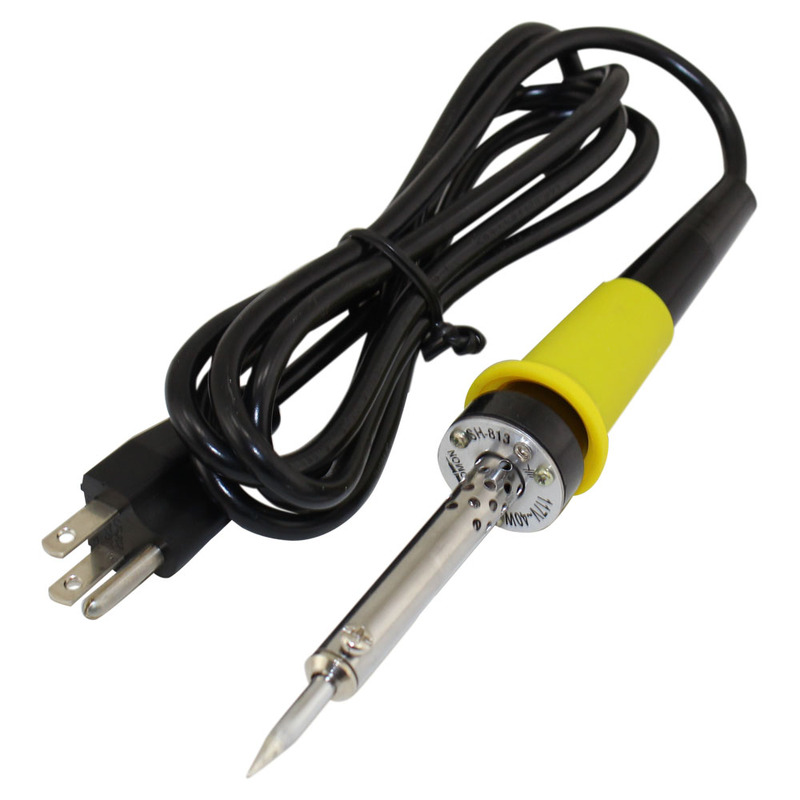 This provides an electrically conductive connection. 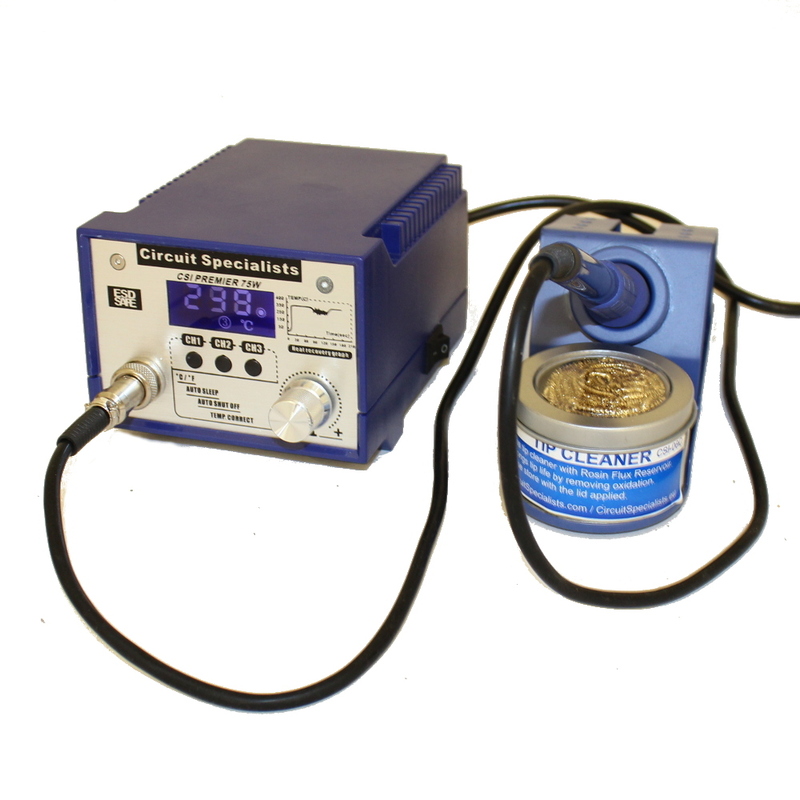 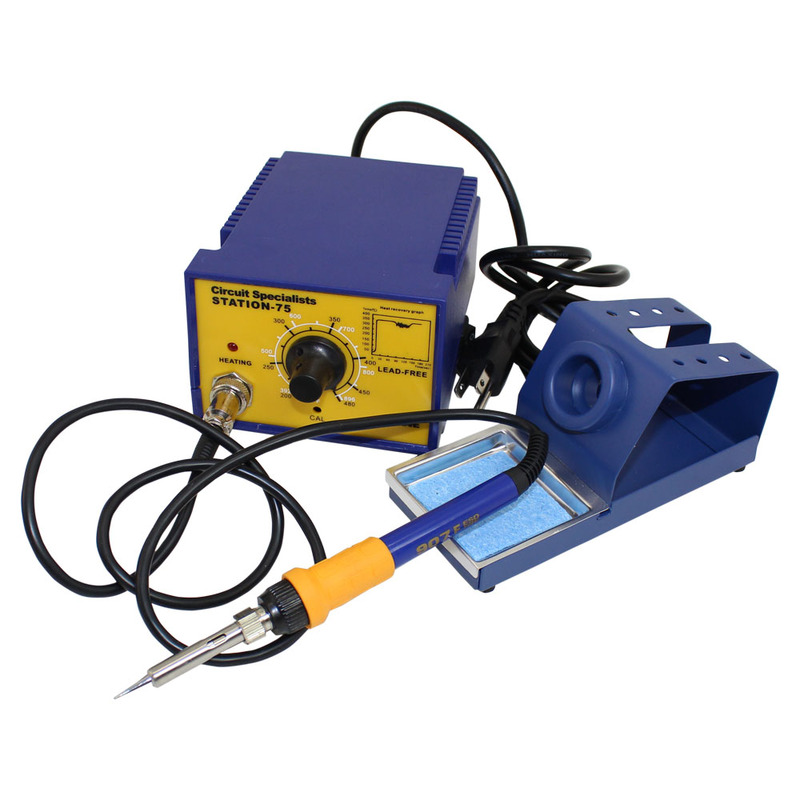 If you're looking for something between a basic soldering iron and a soldering station, have a look at our 40 watt soldering iron kit. 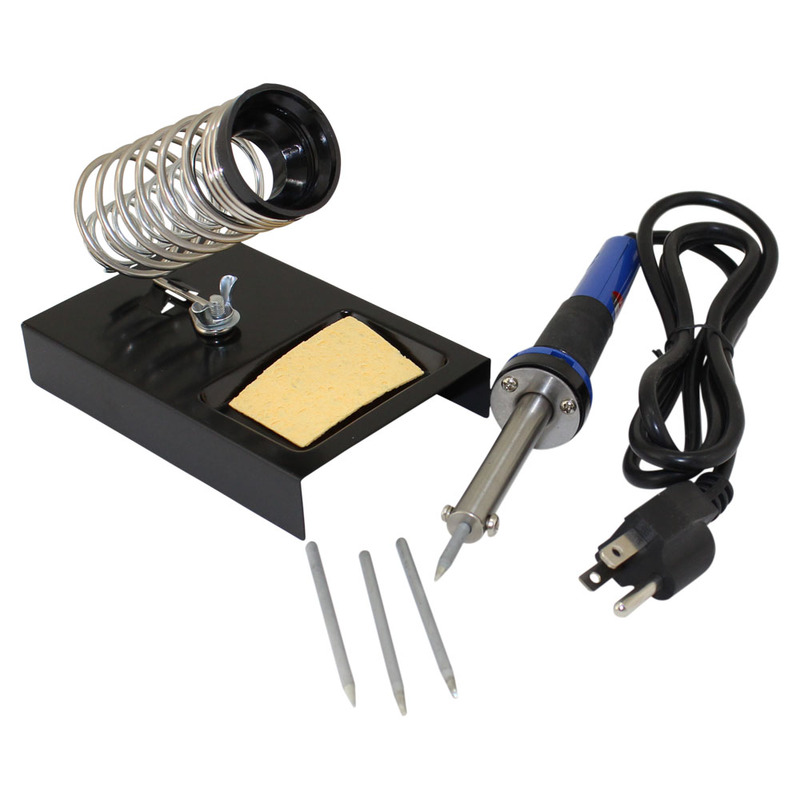 It comes with a stand, sponge, and three soldering tips. 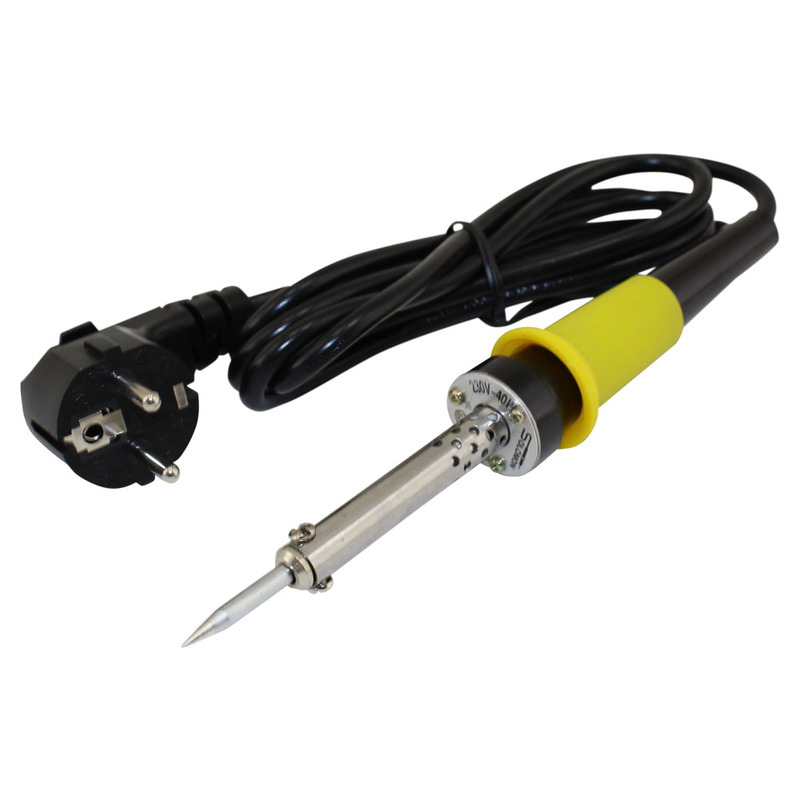 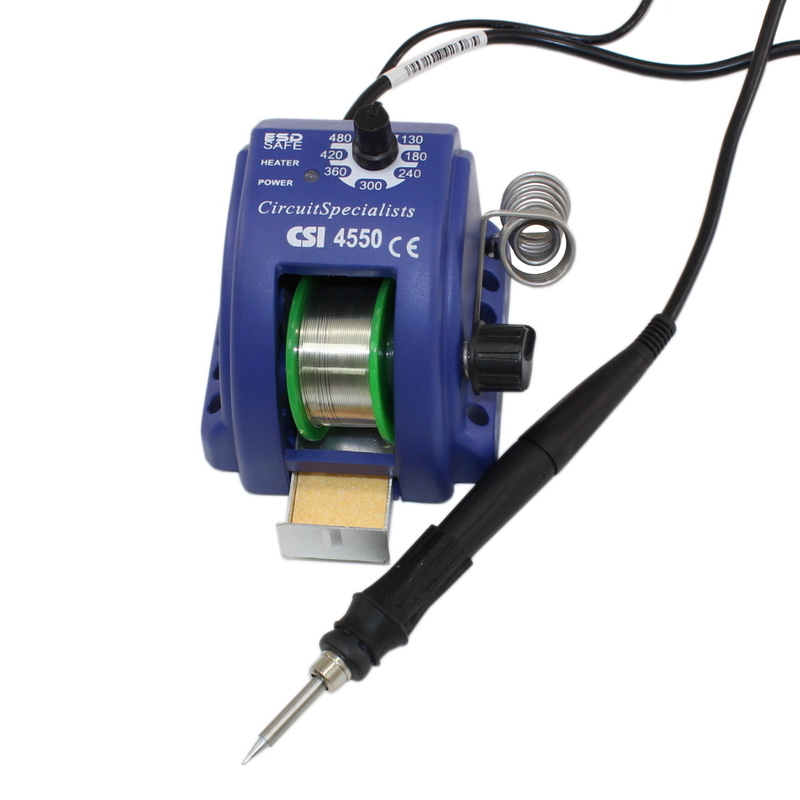 Our brand new 45 Watt Soldering Iron CSILED45 comes with built-in LED lights and comes complete with soldering wire and a spare tip! 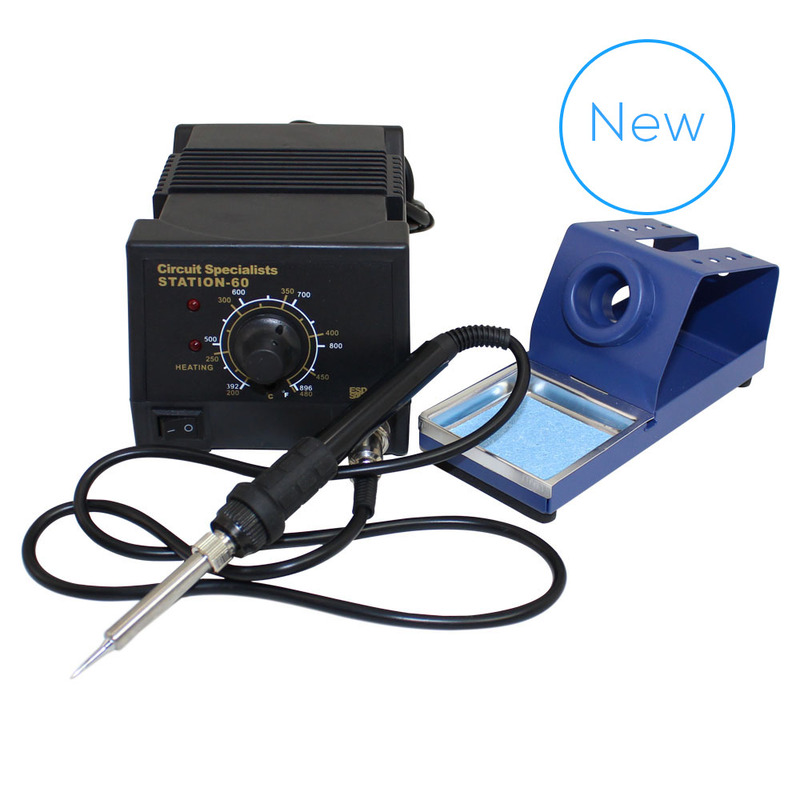 Don't forget that with your purchase of soldering irons, if your order is over $50 you are eligible for a free gift! 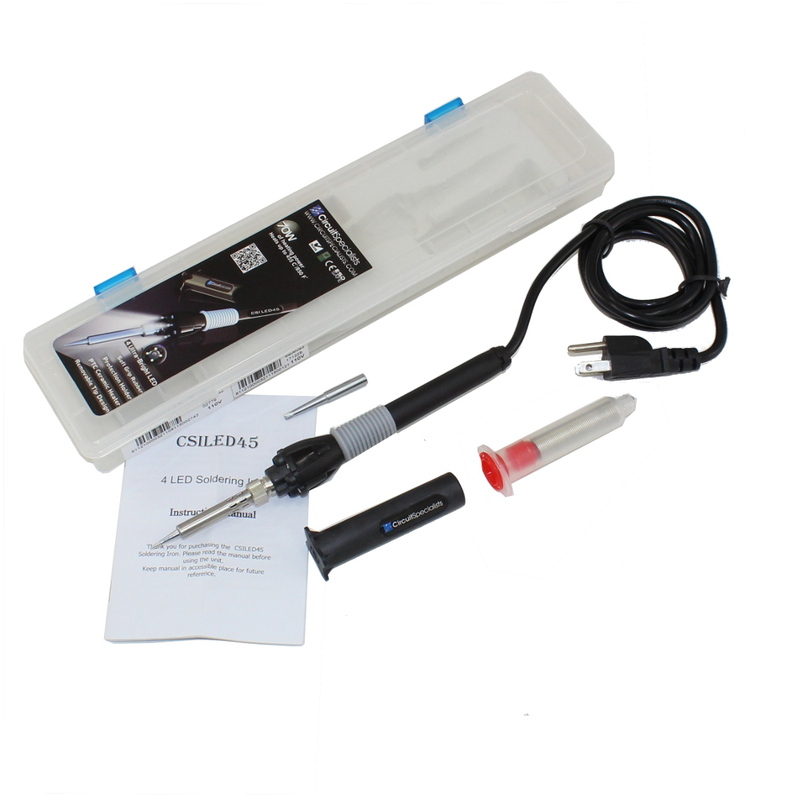 Soldering irons from Circuit Specialists are better than the competitors, and we'll always stock tips and accessories to make sure you have all your soldering needs covered.